The Department of Neuroscience at The University of Texas at Austin is excited to announce that UT Brainstorms: A Conversation on the Brain, is returning for a second year, at a brand-new location! 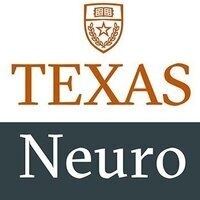 The purpose of UT Brainstorms is to connect with the Austin community, and ultimately with the Texas community, to inform and educate about neuroscience research and the influences it has on our daily lives. We seek a two-way conversation where we share our expertise about the brain and we listen to what it means in people’s lives and to the challenges they face as it relates to the brain. Dr. Michael Mauk will conduct the next session on December 13th: "The Artificial Brain: A Conversation About Brains, Computers, and Artificial Minds.” This public education event is free to the community. For more information and to RSVP, please visit: Neuroscience.utexas.edu/brainstorms (or Email: neurochair@austin.utexas.edu / Phone: (512) 232-7594). Complimentary parking is available on-site at LBJ on a first-come, first-served basis. Parking: Complimentary parking is available on-site on a first-come, first-served basis in Lot 40, which is located at the intersection of Red River at Dean Keeton streets. Additional paid parking is available nearby in Manor Garage (MAG) on Clyde Littlefield Drive.